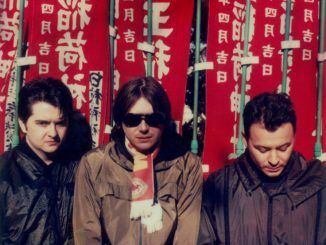 Following the release of ‘International Blue’ at the end of 2017, and ‘Distant Colours’ in February, Manic Street Preachers have made a third track available from their forthcoming 13th studio album ‘Resistance Is Futile’.‘Dylan and Caitlin’ is out today (9 March) and is a duet with The Anchoress. The band have also been confirmed as playing the 25th Meltdown Festival curated by The Cure’s Robert Smith. The band will appear at the Royal Festival Hall in London on the 19th June following their own UK tour. 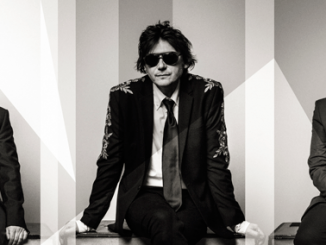 ‘Dylan and Caitlin’ follows in the tradition of the band working with guest vocalists which started with Tracey Lords on their debut album track ‘Little Baby Nothing’ and has taken in Ian McCulloch (‘Some Kind of Nothingness’), Nina Persson (‘Your Love Alone’) and Richard Hawley (‘Rewind The Film’). EP PREMIERE: Reindeer – ‘Black Monoliths Over New Jerusalem’ – Listen Now!